We are a family owned business who will Advise, Measure, Quote and Personally Install your job from start to finish! Udo at Independent blinds was so easy to deal with and ensured that I had considered everything necessary in replacing the blinds. The blinds arrived as expected and look fantastic. I’m so impressed with the service! I will happily refer this family business. Just wanted to say thank you so much for our lovely blinds and awnings, we are delighted with them and the extra post you added fits perfectly. It was a pleasure ealing with you two gentlement from start to finish and I will highly recommend you to my friends. We have a wide range of both Internal & External blinds. If you’re looking to upgrade the look of your home, keep the sun out or just get some privacy then be sure to view our options of Panel, Roller, Slimline Venetians, Timer & Wood-Look, Roman or Vertical Blinds. 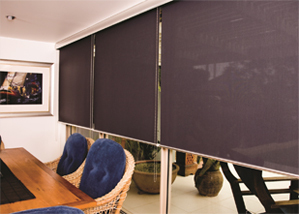 For everything exterior we have the options of Verandah, External Roller Blinds or Vertiscreens. 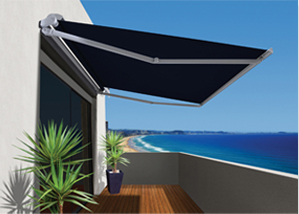 We are specialists in all types of Awnings. With our wide range of products you’ll add that WOW factor to your Sunshine Coast home. Not only is our product range designed to give your home protection but our workmanship and product quality will add a stylish look to your home. You’ll get peace of mind and style all in one. 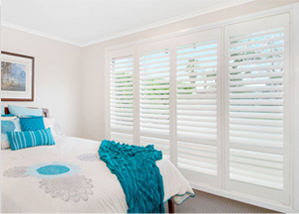 We can give your home that coastal & tropical feeling with our range of shutters. Our range consists of aluminium, timer or PVC shutters. If you’re unsure of what you’re after make sure you give us a call and take advantage of our FREE measure service where we’ll also provide you with a quote for your project. Want to secure your home without compromising your view and sunlight entering your home? 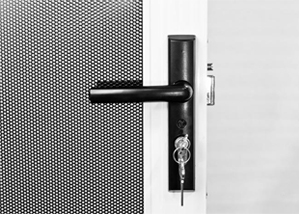 We have a wide range of security screens and doors. We can help choosing the right product for you and offer installation of your screens or doors. For more details give us a call on 0411 872 060. We only supply the latest technology and provide good old fashioned service. Our customers only deal with the installer, from start to finish. Is the sun giving you and your family a hot time? Are you looking to improve your home? Maybe you would like privacy without compromising your view? We can help you with this, we specialise in all kinds of awnings and verandah blinds with the most difficult problem solving ideas whether standard or specially designed awnings, verandah blinds and fill in panels. If you are unsure about your shutter options please call so that we can explore all available options and provide you with a free quote for your home. We offer personalised customer service and have an extensive knowledge of prodcut and installation. Call Us Today On 0411 872 060 for a FREE Measure & Quote.